Winchcombe was the starting point for this 11 mile stretch of the Cotswold Way. Edwin dropped me off in the village before going on to the Steam Festival at the nearby Gloucestershire and Warwickshire Steam Railway. 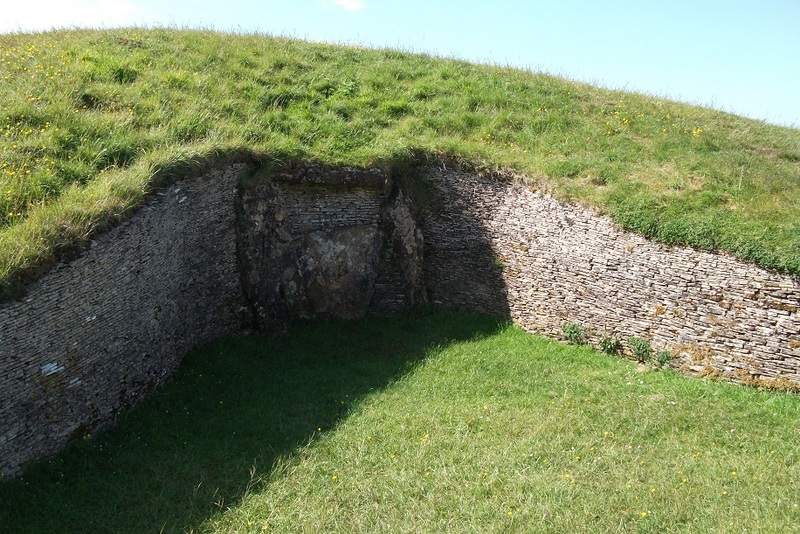 My first point to aim for was Belas Knap, a Neolithic chambered long barrow, high on a hill. 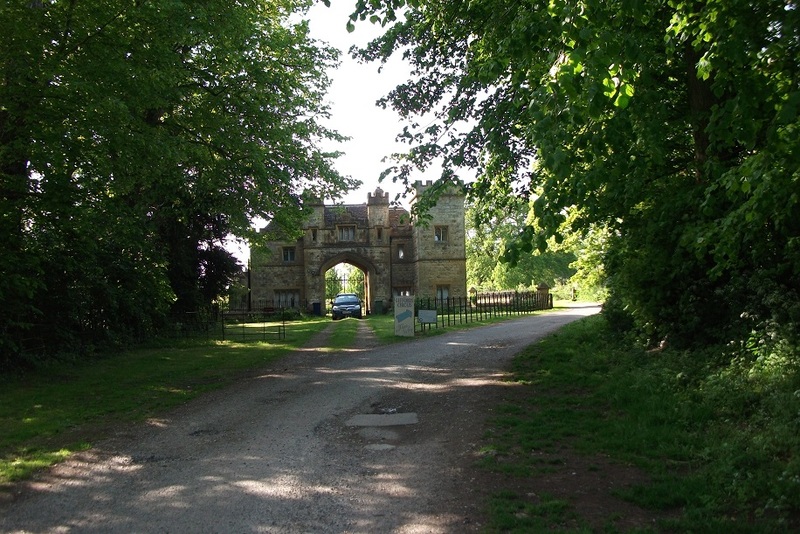 On the way up the hill I passed one of the smaller gates to Sudeley Castle, not the main public entrance. After this, I walked down to Postlip Manor and then up Cleeve Hill. 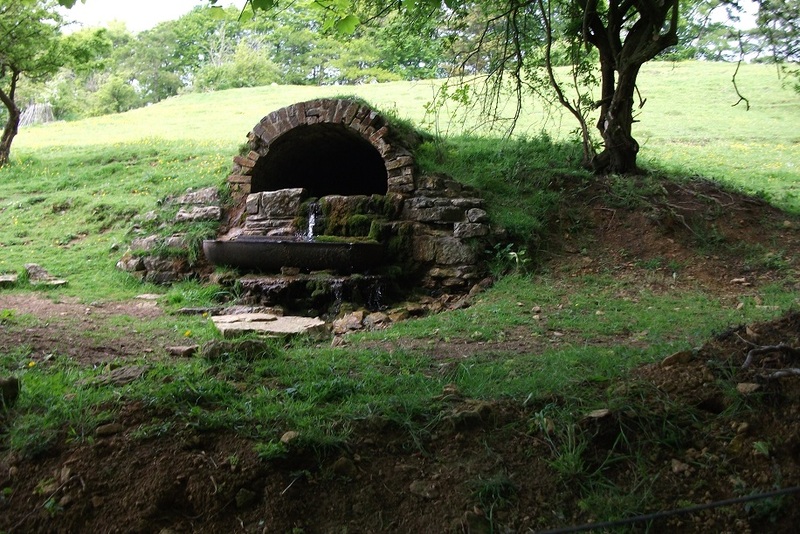 Cleeve Common is a large open space with a myriad of paths, bridle ways, a golf course and sheep. Being a Saturday, there were plenty of people walking about and, of course. playing golf. The walk goes along the escarpment, passing another Iron Age fort and eventually descending through nature reserves to Dowdeswell, where I finished for the day. I ate lunch in one of the nature reserves and was amazed at the number of people out with their cameras looking for the rare butterflies to be found there. One downhill section of the path was very rough as motorbikes had been using it and the adjacent disused quarry as a course for riding their bikes. A barrier had been put across the track but the path has not recovered yet. 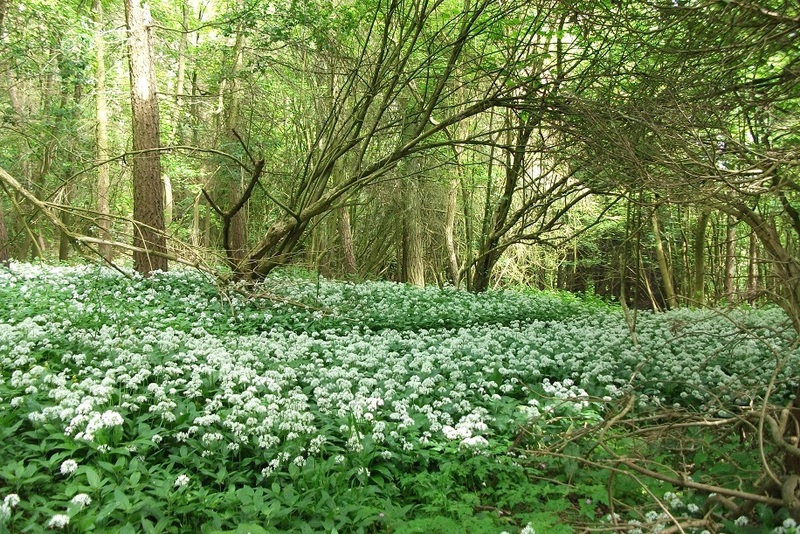 Near the reservoir the woods were filled with wild garlic just as they had been filled with bluebells a month before. When I got to the main road where Edwin was to pick me up, I was very disappointed to find that the pub marked on the OS map was now an Indian restaurant and not open. I was disppointed not to be able to get a long cold drink.